Profile: University of Maribor is second largest and second oldest Slovene university. University of Maribor is an autonomous scientific, research and educational institution with the purpose of discovering and nurturing knowledge as well as transferring it into the community through the all-connected fields of humanities, social sciences, engineering, economy, medicine, natural sciences, law, pedagogical sciences and arts. 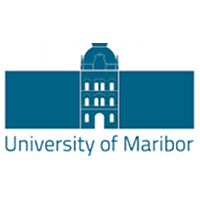 University of Maribor is involved in a number of EU projects, ranging from Erasmus+ project to FP7 and H2020 projects as well as numerous industry projects. University of Maribor is among the best global universities and has earned the highest score among Slovene universities on Times Higher Education World University Rankings for the year 2018. European Commission has awarded University of Maribor for its human resources strategy for researchers (HR Excellence in Research). The Faculty of Electrical Engineering and Computer Science of the University of Maribor (abbreviated FERI) is a scientific institute with explicitly regional, national and international significance. FERI is involved in more than 30 currently active international projects involving HEIs, companies, governmental and non-governmental organisations. The curricula of FERI’s study programmes are relevant to the needs of the labour market. The emphasis on project-based learning is very strong and permeates the curricula at both the first and second Bologna level. In addition, the faculty provides environments and organizes and promotes initiatives supporting the involvement of students in real life projects. The initiatives include local and international competitions as well as major student competitions, e.g. Imagine Cup, ACM, BEST, IEEE competitions and activities. The Institute of Informatics is one of FERI’s nine institutes. The R&D work of the Institute of Informatics is oriented towards the holistic development and management of information systems (IS) and services as well as various aspects of cybersecurity. Additionally, it is well known for its excellent collaboration with the Slovenian industry. The methodological aspects of IS development address the development and definition of new, more effective techniques, methods and methodologies for business process modelling, requirements analysis, architectural design, implementation, database management, verification and validation of IS. Furthermore, the emphasis is also on cyber security, digital forensics and authentication as well as also on service oriented architecture with a semantic component, context, aspect dependent behaviour and innovation of information systems. The University of Maribor (abbreviated UM), Faculty of Electrical Engineering and Computer Science (abbreviated FERI) is actively involved in different aspects of cybersecurity. UM was involved in various project also from the field of cybersecurity (e.g. TEMPUS project ECESM – Enhancement of cyber educational system of Montenegro). Our researchers have published several papers and book chapter in top scientific journal and on conferences. We have developed and patented (EU patent) an advanced email protocol for interoperable, cross-border certified electronic mail based on existing email infrastructure. We are also organizing various winter schools for students and daily event related to cyber security. Furthermore, we are actively forming a group of students and members of UM that will participate in Capture the Flag (CTF) computer security competitions. We have been actively involved in the preparation of the Laboratory for digital forensics (DF:Lab), which was planned within the infrastructure development plan of Development Programme Innovative Open Technology (IOT). It is a key mechanism to support the investigation and computer forensics of major intrusion and fraud cases as well as security devices connected to the Internet of Things and advanced ICT-based services. Our researchers were lead forensic and forensic investigators in worldwide computer crime cases, e.g. Mariposa BotNet. The institute of informatics has also a dedicated blockchain research and development team called Blockchain Lab:UM, which focuses on distributed ledger technology research and the transformation of the knowledge into the industry. The results of the Blockchain Lab:UM team are a development of a blockchain and smart contract based micro certificate platform, industry consulting and several professional and scientific articles on the topic of the blockchain technology. Expertise and Role in CONCORDIA: UM will participate in all WPs contributing solutions on cyber security, digital forensics, authentication, service oriented architecture with a semantic component, context, aspect dependent behaviour and innovations on information systems. It will provide access to the Laboratory for digital forensics (DF:Lab) to support the investigation and computer forensics of major intrusion and fraud cases as well as security devices connected to the Internet of Things and advanced ICT-based services. Also it will participate in blockchain research and development contributing distributed ledger technology research with results on the development of a blockchain and smart contract based micro certificate platform. Finally UM will participate in the organization of Capture the Flag (CTF) computer security competitions.